But wastefulness certainly was. We took food with the utmost care – never to the point or purpose of deprivation, but for the sake of appreciation and self-awareness. The principle applied to clothing and sports equipment. My first tie came from one cousin; my first outgrown baseball glove went to another. There was an ebb and flow to possession, such that at the end of each year, I found many of my forlorn goods had discovered new purpose in homes around the community. My arrival at Harvard three years ago marked a point of many surprises, among them the scope of campus extravagance. I remember reading an Onion headline in the fall of my sophomore year, which riffed on colleges’ “building new academic halls, installing wave pools and lazy rivers, offering free movie tickets, and more to attract top students to their campus.” Harvard had, to my knowledge, entertained only one of the Onion’s three strategies, but the article’s message – that profligacy abounds in American university life – fell on open ears. An appreciation for reuse and adventure is what prompted a group of us to launch Tradr this summer out of the Harvard Innovation Lab. 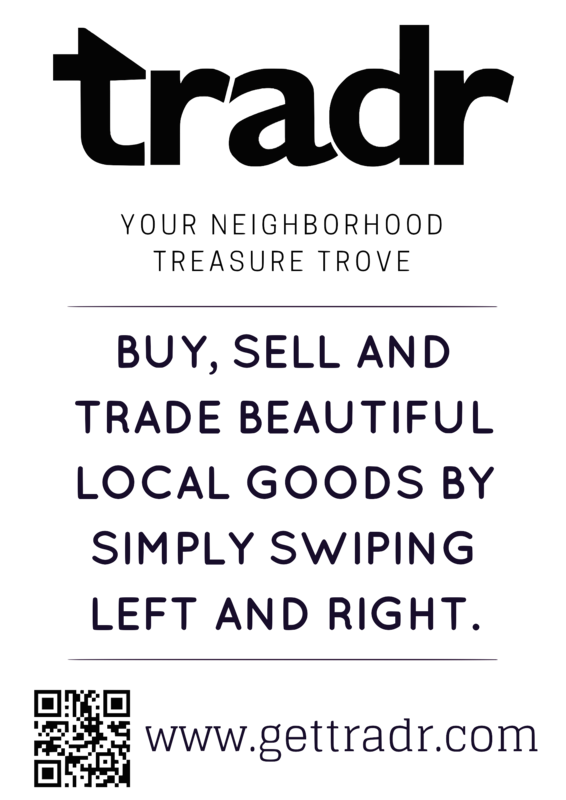 Tradr is a discovery-oriented social platform for buying, selling, and trading creative and used goods locally. 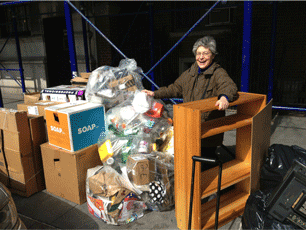 As students, we lamented the degree to which waste was normalized. Rushing to classes, our peers routinely discard untouched food from their plates. When the school year ends, students overlook the significance of their tossing books, furniture, and lightly-used clothing. 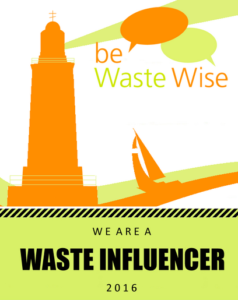 Wastefulness is recognized by few and, as a result, the physical and social consequences often go undetected. Jessica Behrens, one of our co-founders, was a university student in Brazil when she undertook a challenge to give away one possession from among her collection every day for a year. She wished to ascertain for herself the consequences of a hyper consumerist lifestyle. During the course of her journey, Jessica met Zaki Djamal, a friend of mine and a Harvard student studying behavioral economics, and Zaki’s friend Eddy Lee, an entrepreneurial student who sold used music instruments. Tradr was born out of their meeting. 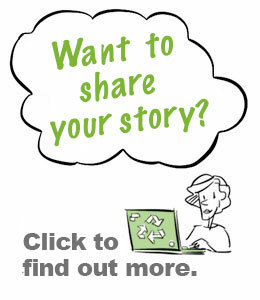 The application works to promote three goals: 1) reuse 2) personal discovery and 3) community building. While many feel comfortable buying and selling used goods, personal markets are limited and buying from and selling to strangers is less straightforward. Tradr connects users with others in their community through social media profiles and facilitates users’ discovery of a personally curated bevy of goods. Tradr facilitates adventure through an organic browsing experience. Just as someone might peruse a neighborhood garage sale or thrift shop to discover local treasures, so to Tradr users have the opportunity to actively swipe through their neighborhood’s “treasure trove” of used and creative goods. Swipe left to continue, right to learn more and negotiate. Selling is easy too – no yard sale signs or advertising. Users simply snap a picture, write a description, and Tradr’s algorithm filters their items to relevant users. Within a few short months, more than 7,000 users have begun trading and browsing a local marketplace of thousands of cheap, beautiful products. We are continuously working to improve the user experience and promote local trade. From finding quirky items to purchase for ourselves (I recently found an English city bicycle) to speaking with enthusiastic users, the process has been tremendously gratifying thus far. We are very excited to see what’s to come. Alex Dagi is a junior at Harvard College studying Science, Technology and Society in the History of Science department. He joined his friends at tradr at the end of the summer and can be found biking around campus when not working down at the Harvard i-Lab. So much easier and more fun than websites like Craigslist! Found a lot of really cool artwork and vintage goods through the application! Definitely looking forward to checking this app out. I usually grow tired of clothing within a year or so and am always looking to pass it along or sell it. I’ve used a lot of different apps to go about doing this, but Tradr seems like a great option. Hope you enjoy the experience, Lisa, and please get back to us if you have any suggestions as we continue to develop! This app could definitely be used in many communities. There was such a problem at my college of senior’s who no longer needed their nice sofas, TV’s, bikes, but did not know who to give it away to. Looks like Tradr solves that issue. Seems like a great idea. The barter and trade economy seems like a ripe market given success of AirBnB and FreeCycle. Awesome app, can’t wait to see more pop up. I will definitely try this app when back in the US ! I much prefer the tinder system used for this purpose and I think I will definitely find things to reuse! Thanks for the innovation Alex ! It’s great to see you reflecting on the flaws of a wasteful culture and using those realizations to make such a great innovation. This app is a great idea and it promotes a very important idea of “re-use.” I hope to see the app grow and for more people to adapt this culture of re-use and recycle. Always wanted to see Craigslist go modern! I can see this booming across college campuses, especially during the first few weeks of school where upperclassmen can trade off room decor, hangers, bed raisers, etc. to underclassmen. This is honestly such a good idea. I’ve traded/sold furniture on Facebook group pages but it lacks security and there’s a high fraud risk. I use a resale clothing app called Grailed and it has paypal protection and a money back guarantee in the event of fraud. In addition to convenience,I think this added layer of security is what draws people to selling/trading stuff on apps. Hopefully TRADR becomes as big as these resale clothing apps! I am downloading this right away! I think this is a step in the right direction away from a throw away society and could really help people in making small lifestyle changes. It will also be useful in my small town!